Why does the menu give me no access to my plan? When I click on "account", I get only "services" and "account settings" as you can see from the screen shot. If not for the direct links in the post with step by step downgrade instructions, it would be impossible for me to downgrade. Also seem to have no access to the page where automatic top ups are enabled or disabled. 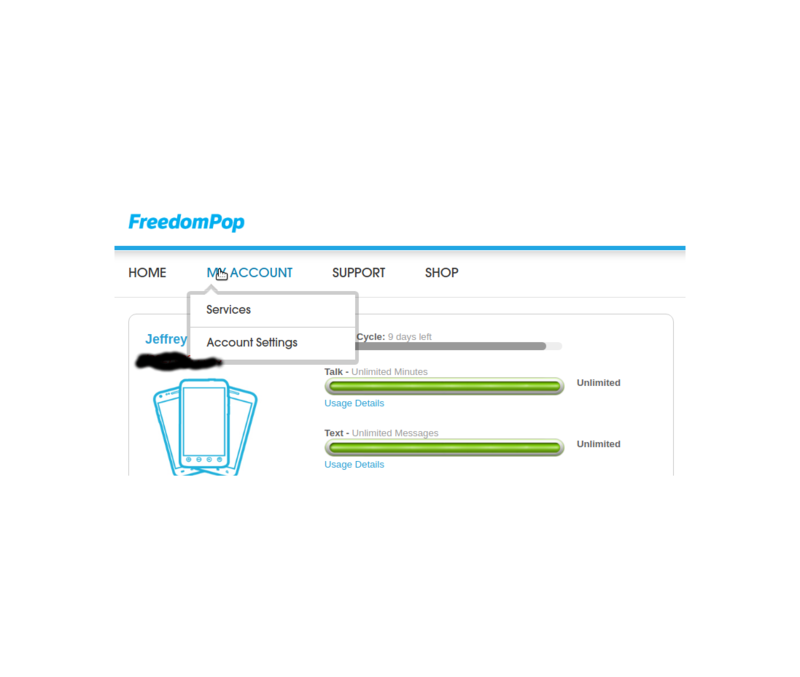 I can get their via the direct link from the instruction post: https://www.freedompop.com/billing_settings.htm, but have no way to access via the menu, it's not on my account settings page. This was fixed by logging out and then logging back in. Didn't think to try that until after posting. Perhaps this will be helpful to anyone else who experiences this sort of thing, though.